Polly wants everything you have, and possibly your ship. And wifi. Fast wifi. 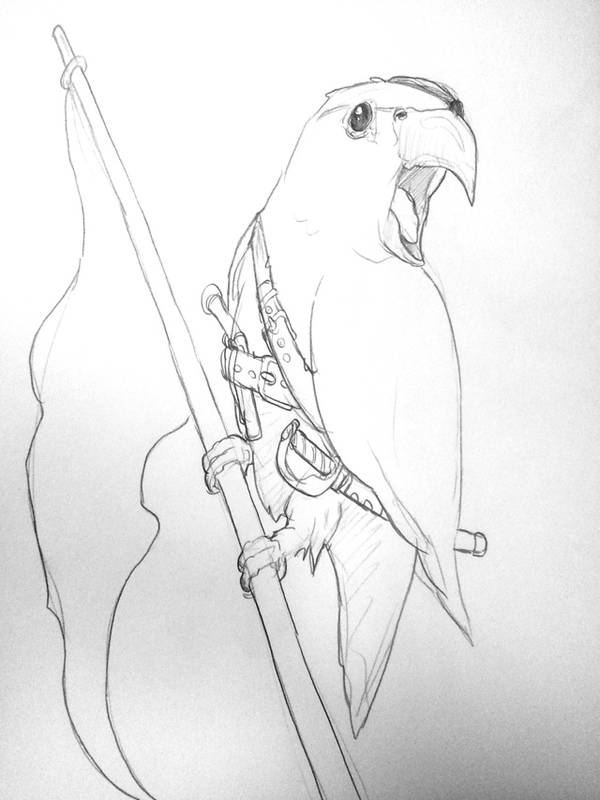 This entry was posted in Quick Desksketch and tagged parrot, pirate by Anthony. Bookmark the permalink.